Korea’s new hero, Monzkid brings Pro Wrestling to the next generation of Korean wrestling fans. 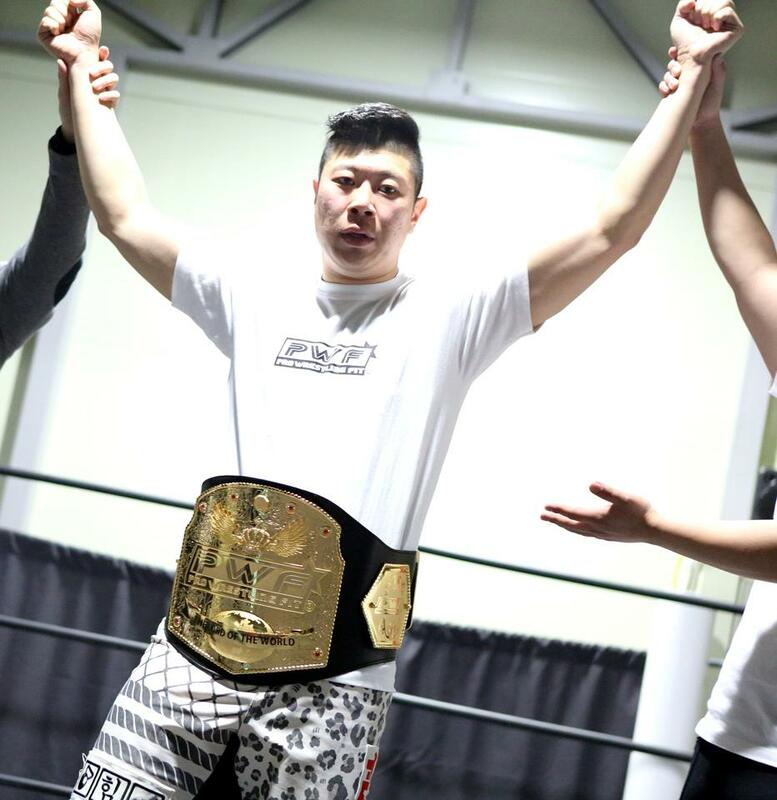 Monzkid rose through the ranks of the Professional Wrestling school and organization founded by Korea’s own Pro Wrestling Legend, Kim Il (Oki Kintaro). When Monzkid arrived on the scene the organization was being managed by Mr. Choi and lead by “Super Dragon” Lee Whang-Pyo. Monzkid completed his initial training and debuted in the World Wrestling Association show in Seoul, Korea in 2004 under the guidance and coaching of Lee Wang-Pyo, WWA World Heavy Weight Champion. Wanting to perfect his craft, Monzkid continued to train and travel. In 2006, he began his training in the famous Japanese Strong-Style Wrestling at the world renowned KAIENTAI-DOJO under the personal tutelage of Japanese Pro Wrestling Superstar Taka Michinoku. He made his Japanese Pro Wrestling debut in 2008 against his trainer and mentor, Taka Michinoku in a match that gained the attention of several Japanese wrestling promoters and earned him the respect of the Pro Wrestling community. In 2009 and 2010, Monzkid worked at all of the top Pro Wrestling shows in Japan including DRAGON GATE, DDT and BJW. In 2011, he establish the foundation of Pro Wrestling Fit Korea to build a show that would attract the attention of the younger generation and help Korea’s Pro Wrestling grow to new heights of popularity. Monzkid has been in special training sessions in CHIKARA, encountered with Antonio Cesaro and Al Snow. Cesaro and Snow cheered him as a World Class Pro Wrestler – who will be able to take part in future WWE events. In 2012, Monzkid built a training center for professional wrestling in Korea called DREAMHOUSE. The Dreamhouse is a full service fitness and pro wrestling training school that is going to develop the next generation of Korean Pro Wrestling superstars. It is affiliated with the PWF Pro Wrestling school in the USA. With his disciples, he is vigorously preparing for the next explosion of Korean Pro Wrestling under the banner of Pro Wrestling Fit. Here you can see his exhibition match from January 26th 2013 demonstrating why he is the best professional wrestler of his generation in Korea. This video is a real treat for Monzkid fans. You are currently browsing the Pro Wrestling Fit International TV Show blog archives for January, 2013.